Our monthly networking lunches are a great place to meet D.C. arts professionals, discuss current issues facing our industry, and learn more about EALDC programming. For May, we're continuing our happy hour series with a First Friday Happy Hour at Dirty Habit at 555 8th Street, NW. The topic of discussion will be the dirty habits that arts organizations in this region tend to have and will focus on potential solutions that can be utilized by all! The Happy Hour will be held on May 3 at 5:30 pm hosted by Steering Committee Members James Sims Jr. and Ryan Merkel. Join us for a Creative Conversation exploring art as a safe haven and being the space artists can call home. This conversation will allow leaders within the art community who are providing art spaces and resources to the community to share the benefits of their spaces. 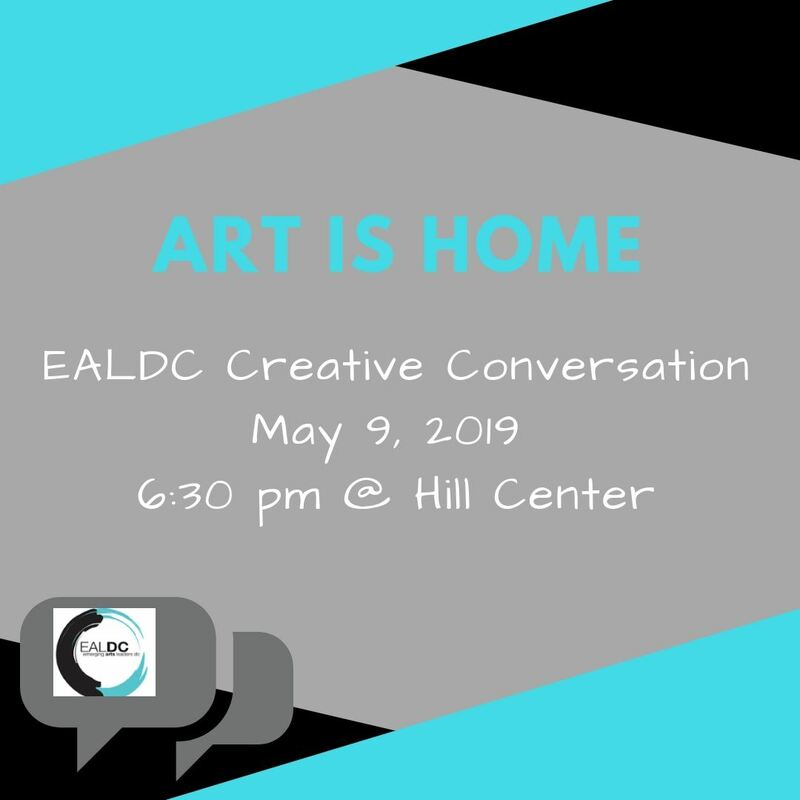 Featured speakers will share where/how you can support the arts in the DC community, what opportunities these types of spaces offer, discuss the meaning of Art is Home, and the importance of art as an outlet today! Panelists will be announced soon! Friday, April 05, 2019 First Friday Lunch! Thursday, March 07, 2019 First Thursday Happy Hour! Thursday, January 03, 2019 First Thursday Happy Hour! Friday, December 07, 2018 First Friday Lunch! Friday, November 02, 2018 First Friday Happy Hour! Friday, October 05, 2018 First Friday Happy Hour! Thursday, June 07, 2018 June First THURSDAY Happy Hour! Friday, May 04, 2018 May First Friday Happy Hour!